Have you ever experienced something so painful that you didn’t want to tell anyone else about it so you kept it a secret? Maybe you hid this experience because there was something about it that made you feel embarrassed or, perhaps, caused you some guilt. If you have felt this way, did you feel like you just HAD to tell someone else about it? What happened when you did? 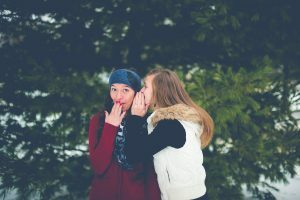 If you feel the need to share your story with someone else, especially when it’s a sensitive topic like abortion, it may be worthwhile to think about this encounter before it takes place. Here are some questions you may want to ask yourself before going ahead and telling your secret. What is my motive for talking to this person? What is the probable benefit to me? What is the probable benefit to the other person? What do I want to get from this encounter and am I likely to get it? Do I feel emotionally ready to tell my secret? What is the best or worst response I could expect? Is this person emotionally mature to handle this story? Will this person share my story with others and use this knowledge against me? Although you can never completely know how someone will react to the news, preparing yourself beforehand can help. The Restore After Abortion Program provides a safe, caring, and nonjudgmental environment for teenagers and adults to share their abortion story. Our program is tailored to meet your needs and help you on your journey to healing after experiencing abortion. Call or text us today at 630-599-0043.